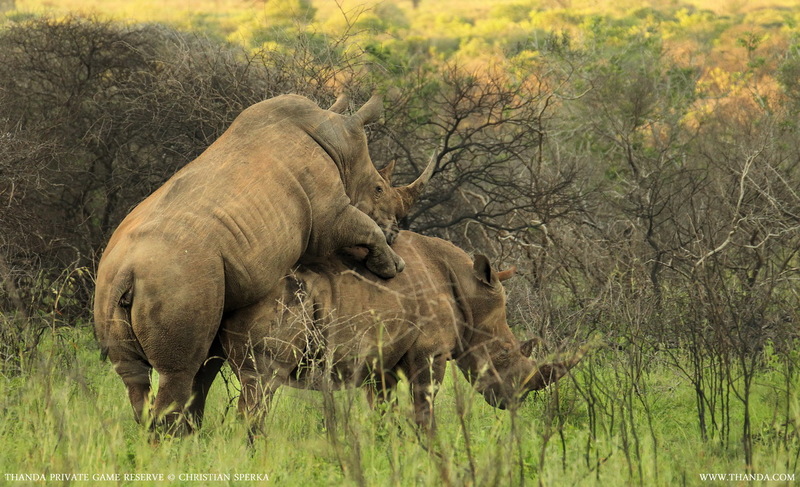 Thanda guests were able to observe this pair of White Rhinos mating when the sun set on the day and on this year. 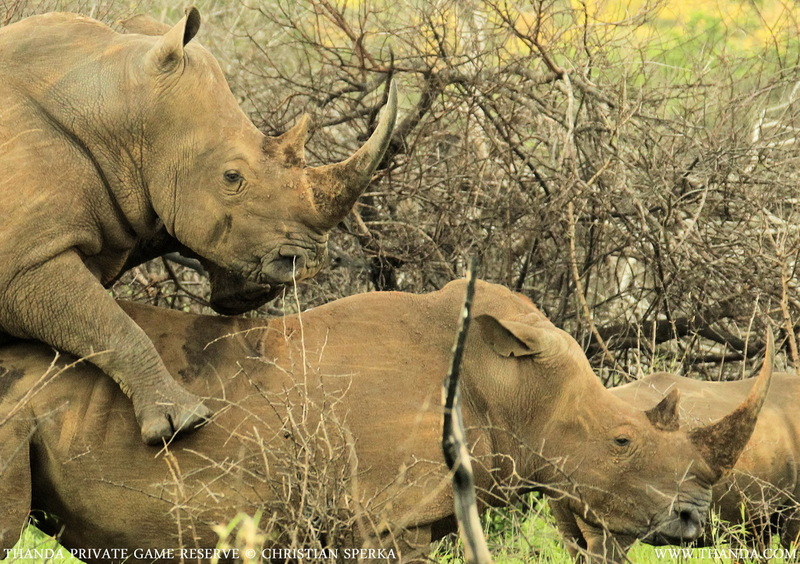 Considering all the bad news about the number of Rhinos killed in 2013 this scene promises some good news of a future birth for this threatened species. 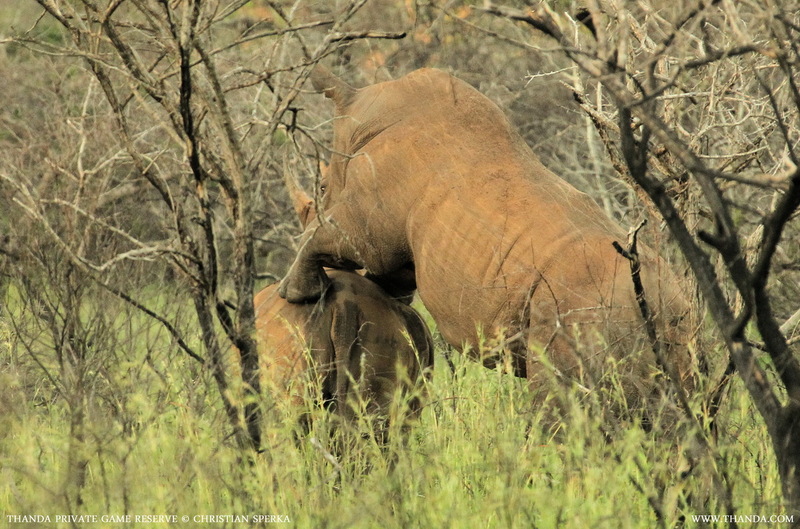 With a gestation period of 16 month it will be 2015 when the new calf will be born at Thanda. 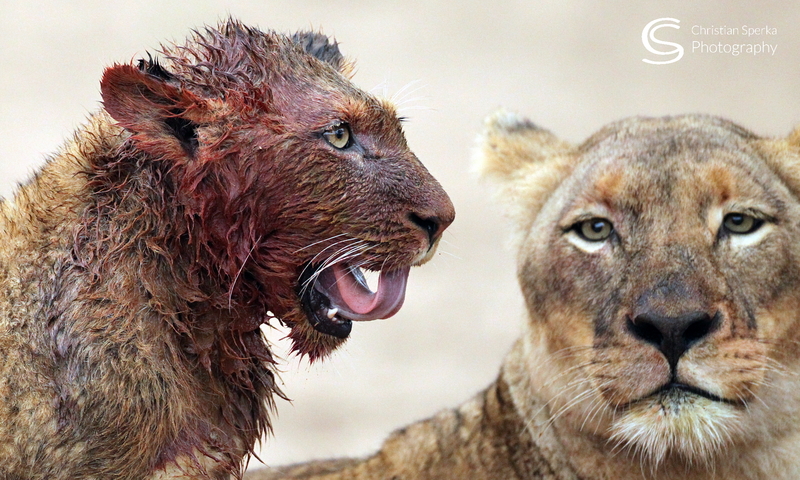 … getting off – finally! Previous PostPrevious Timo, Philip, Quinten – the small things and a rainy day!